Views at the Upper Barrakka Gardens (November 2018). Located off the coast of Sicily, the small island-nation of Malta often gets overlooked as a tourist destination. For non-EU citizens like myself, I admit I hadn’t known about this country until in the last few years– even after I’d decided to book my flights for a week-long visit in late November, I still had little knowledge of what the country was. I guess one way to start off is by debunking a few misconceptions about Malta: no, it’s not part of Italy and no, Maltesers weren’t invented there (it’s actually British). However, Malta is home to amazing cuisine heavily-influenced by the Italians, as well as Twistees (a cheesy crisp snack). And of course, you can’t forget the lovable Maltese dog! Malta is actually home to countless historic sites that date back way before the pyramids of Giza (before 2500 BCE)! In fact, the country has one of the most-concentrated area of ancient temples, ruins, forts, and churches in the world, which isn’t a shock considering its mere 122 squared miles (316 squared kilometers) of land. Truly, there’s so much history in the country that a week’s visit isn’t enough to even scratch the surface. While I did do my research prior to visiting Malta, I confess that I still didn’t know much about its history, culture, or people. Actually, I spent most of my time trying to find notable sites to see, pinpoint public transport, and local dishes to consume, so I did let the other aspects of research slide by. I made up my mind in the end just to fly over and figure it out when I got there. Especially when I’m such a huge travel planner, a bit of spontaneity wouldn’t hurt for a change. The week after my fall teaching semester ended, I wasted no time heading to the airport to catch my flight to Malta. Unfortunately, the gilets jaunes were protesting that day, which made getting to the airport a nightmare– I found an alternative, and thankfully I got to Lyon Saint-Exupéry in time to take my flight. I had a short transfer in Munich before arriving at Malta International Airport (in Luqa) and taking a pre-arranged shuttle to my hostel in Sliema. When it comes to getting around in Malta, I was glad to see plenty of bus and ferry options (especially the latter for getting to Comino and Gozo, the other main islands of Malta). However, I ended up taking a pre-booked shuttle to my hostel, since I arrived in the evening and direct bus services to town stopped operating by then (I also went off-season, so timetables were more limited). Plus, it was only five euros, which was a lot better than taking a taxi, and I got to my hostel in 20 minutes. As for deciding where to stay in Malta, I opted to stay in Sliema, a town just across the port from Valletta, the capital. 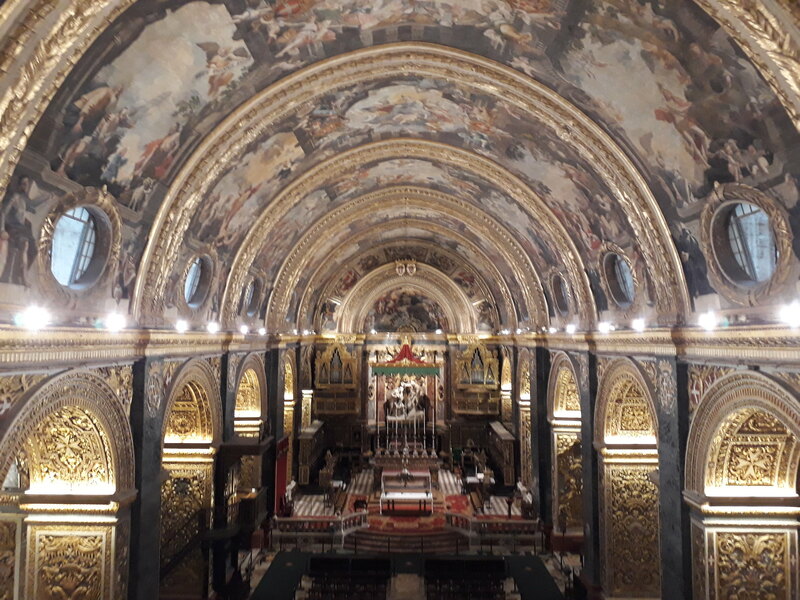 While staying in Valletta would be the most-ideal option (i.e. all roads connect to the capital), accommodation is much more expensive and limited. 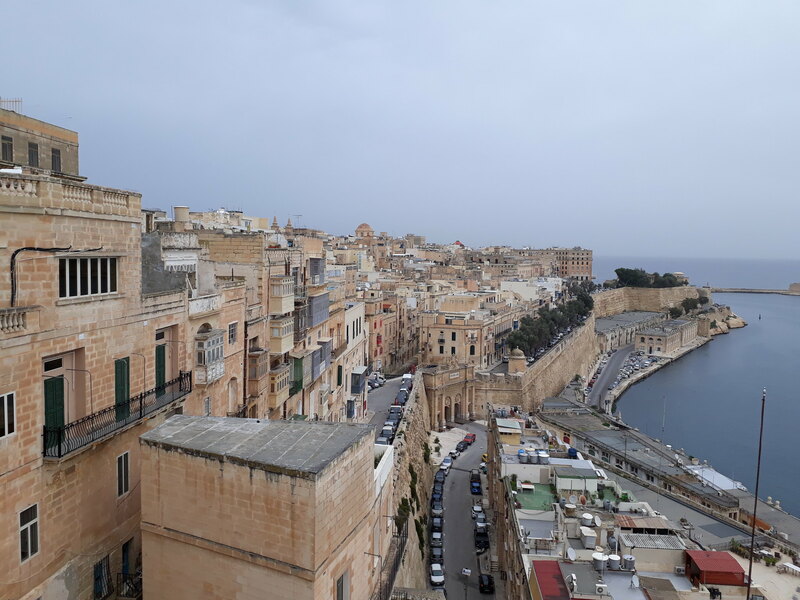 I also happened to find a lovely hostel in Sliema that was only a two-minute walk to the port– besides having ferry service to Valletta and the Three Cities, there were also bus stops that served all over the island. That said, I would suggest not staying in Valletta and instead in its surrounding towns (Sliema, St. Paul’s Bay, St. Julian). My first night in was calm, as I’d spent over 12 hours in-transit. I got settled in my dorm, where I charged my phone: I noticed the plug was the British type G outlet, which was no surprise since Malta used to be a British colony for 150 years– it was also no surprise that drivers drove on the left side of the road (which I had to wrap my head around) and that so many Brits vacation on the island all year-round. English is also one of their official languages, and I never had a problem with communication. 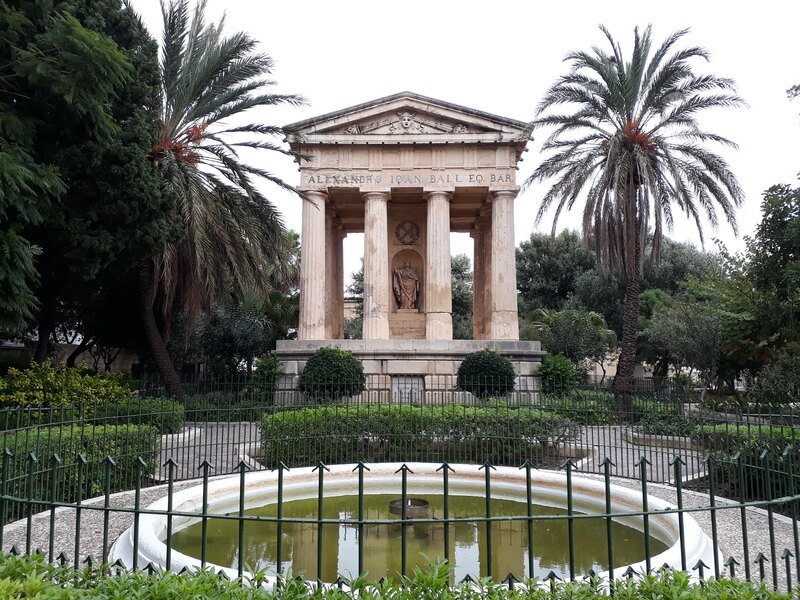 I spent my first morning exploring Valletta– after taking a 10-minute ferry ride, I arrived in the capital where I first headed to the Upper Barrakka Gardens. Situated at the highest point of the St. Peter & Paul Bastion, it holds the Saluting Battery (which goes off every day at noon), and it offers the best panoramic view of the Grand Harbour and Three Cities. It was a rather overcast day when I visited, but the views were still beautifully-sweeping. Saluting Battery with views of the Grand Harbour. As the Upper Barrakka Gardens existed, there was, of course, the Lower Barrakka Gardens as well. It was a 15-minute walk over, where one could get more panoramic views of the Grand Harbour. There was also a charming, neoclassical temple inside, along with teeming vegetation, even in near-winter. 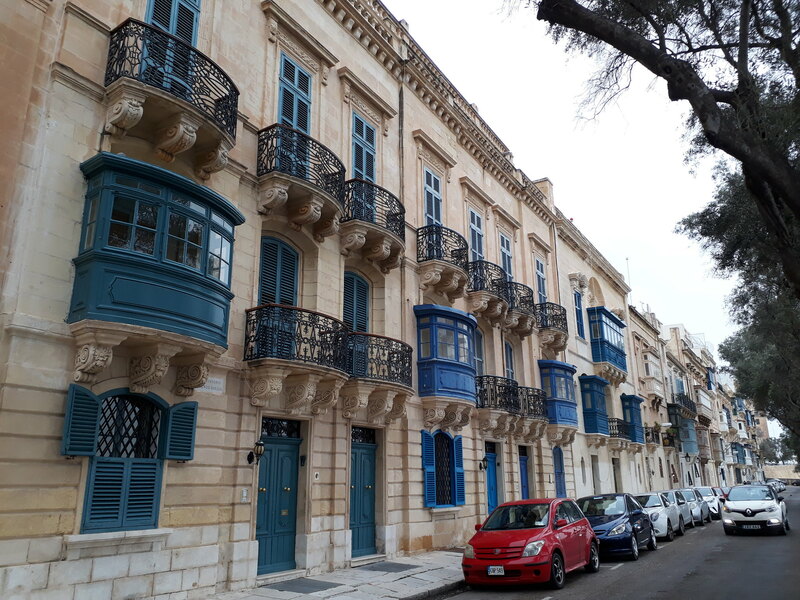 Maltese balconies: everywhere in Malta! 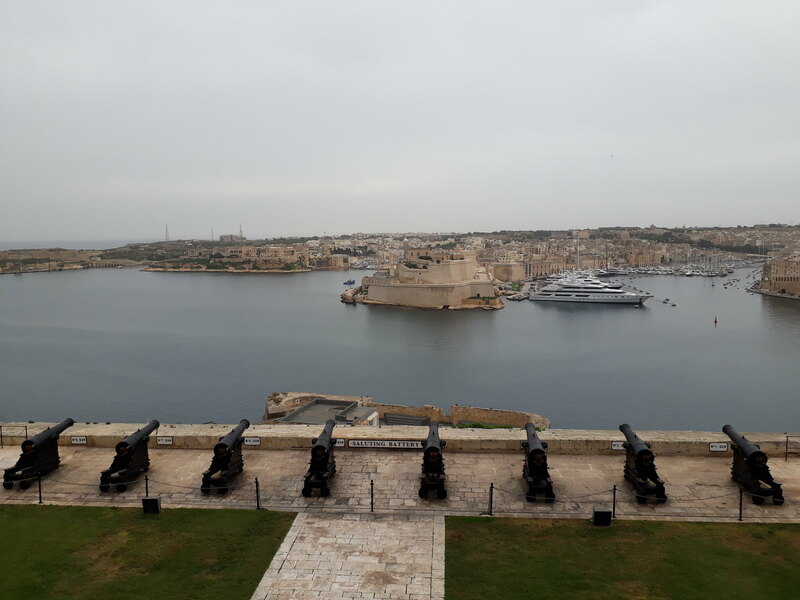 I continued my walk along the bastion, eventually hitting Fort Saint Elmo, famous for its role during the Great Siege of Malta in the 16th century. It wasn’t open yet when I arrived, nor was I especially keen on visiting it, so I just passed by on my way to Republic Street, the main street of Valletta. It’s where everything comes together, from judiciary affairs to tourist attractions. The street was where I visited three of the capital’s principal sites: St. John’s Co-Cathedral, The Grandmaster’s Palace, and the Casa Rocca Piccola. Before St. John’s even opened, there was already a notable line to get into the cathedral. It was a hefty 10 euros admission fee, but it was truly worth it. Normally, I’m not big on visiting religious sites, especially after seeing far too many in Europe, but St. John’s absolutely blew me away– seriously, there was gold everywhere. From floor to ceiling. The artwork on the arches, ceilings, and chapels were incredibly detailed to the point that it made me dizzy, and I imagine even a non-believer would become a believer if they were to step inside. Definitely one of the highlights in Malta, and it’s a must for everyone to visit. 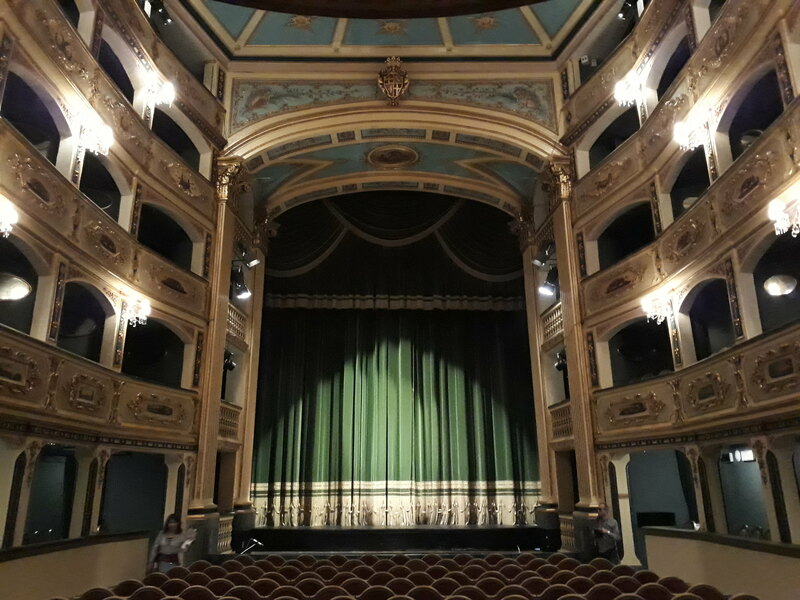 Next up, I wanted to see the Teatru Manoel, an 18th-century theater that resembled that of la Fenice in Venice. Unfortunately, it was unexpectedly closed that day for a rehearsal, and I ended up returning a few days later to try visiting. 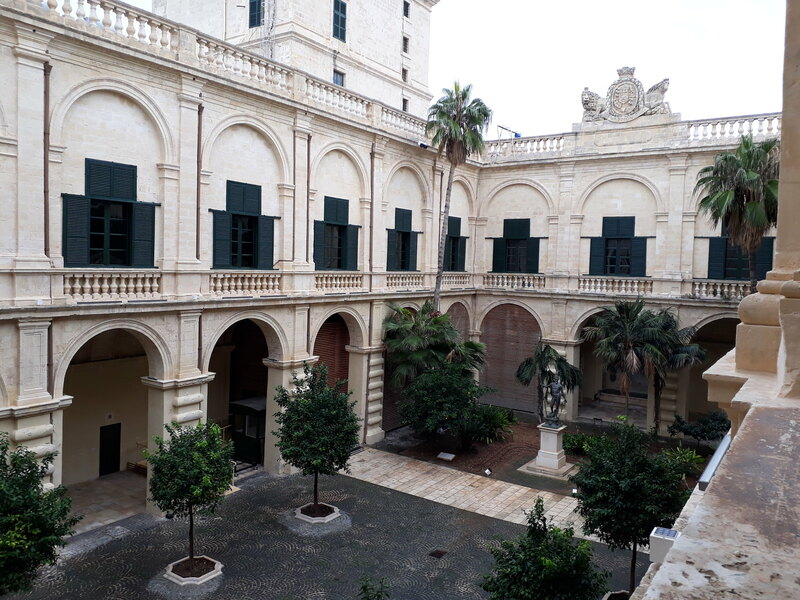 While not as large as I’d anticipated, the Teatru Manoel was lovely in its golden, circular capacity, along with a silky, emerald curtain which has seen many performances come and go. It’s no secret that I appreciate good architecture when I see it, and the discounted five-euro admission fee wasn’t too shabby, either. After St. John’s, I checked out the Grandmaster’s Palace that formerly housed the eponymous leader of the Order of St. John in the medieval times, now home to the country’s president. It was another 10 euros to visit, but it encompassed the Palace Armoury, along with the lavish state rooms. Personally, I found it to be lackluster, as the state rooms were fairly small, and I didn’t have interest in the armoury. The hallway was gorgeous, however, although I wouldn’t consider my money well-spent. Hallway of the Grandmaster’s Palace. Just a block away was the Casa Rocca Piccola, a 16th-century palace home to the noble family de Piro. I happened to arrive during a lull in the day– the next tour wouldn’t be for another 50 minutes, but the workers were kind enough to give me an abridged tour. 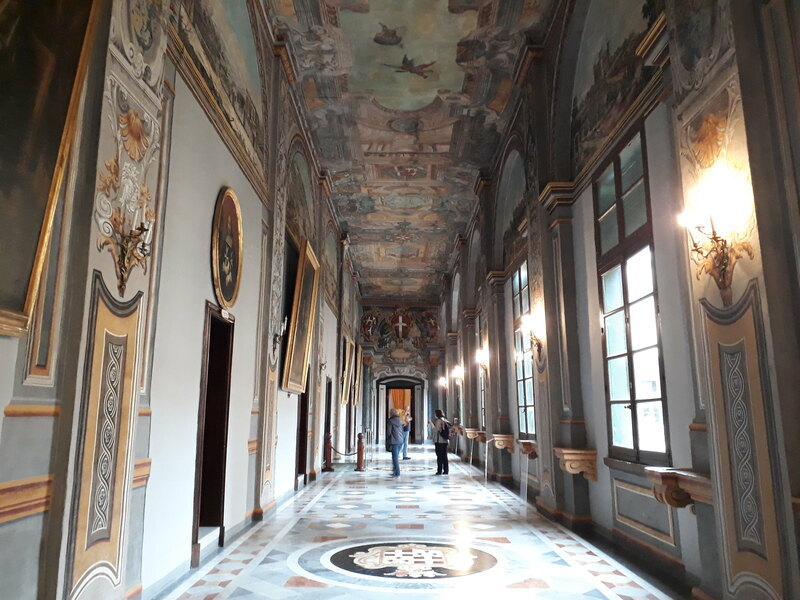 I paid five euros, and I was whisked through the various rooms of the palace, all of which are still in use today by the family! 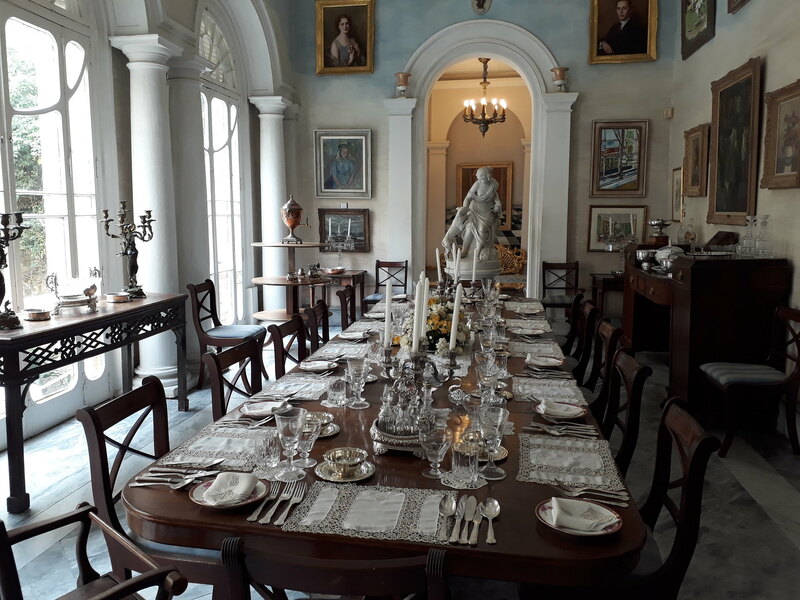 The summer dining room was the highlight, as the natural lighting of the wide windows cast light on the impeccably-clean dinner plates, utensils, and tablecloth. 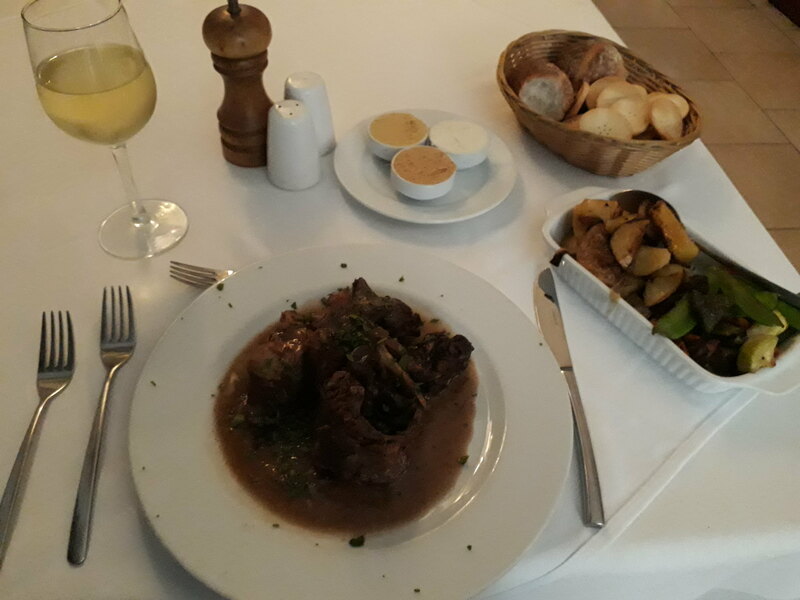 In any case, I thought my rabbit dish was just all-right: much of the meat was dry, with the exception of the liver and kidneys which were wonderfully tender. There were also lots of bone shards in the meat, so I had to be careful while eating. I did enjoy the roasted vegetables on the side, and the portions were decent for the price, about 18 euros. After lunch, I concluded my time in Valletta, since I would be taking the ferry for a visit of the Three Cities in the afternoon (to be posted later). While I would say that Valletta isn’t as bustling as the mega capitals of London or Rome, I found it chock-full of rustic streets and limestone buildings that look like a step back into Roman times. It was a busy, but fruitful first day in Valletta, and it got me excited to explore more of Malta in the days to come. Stay tuned for more adventures in Malta! 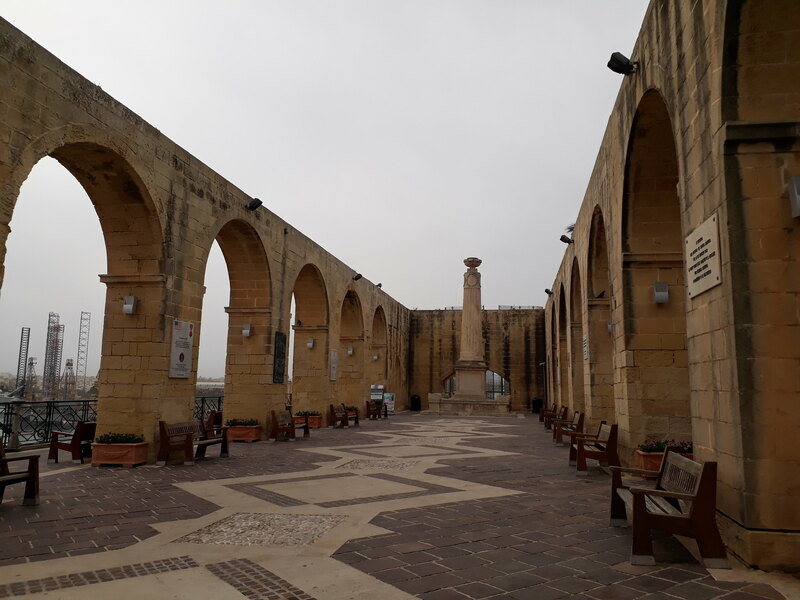 Thank you for sharing – Malta is on my bucket list! You’re welcome. Hope you can visit the beautiful country some day!